Back on Market! Buyer was ready to close and had a change in circumstances. Hurry! Hurry! Come enjoy this completely renovated and turn Key Condo at a price that will be sure to create some attention. 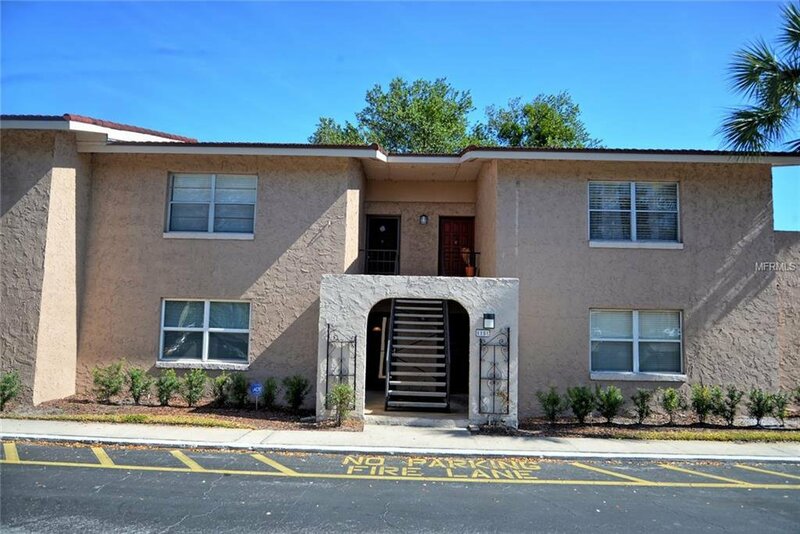 Avoid the stairs on this first level Condo with an upgraded, insulated front door screen, and be greeted by your finished kitchen; with stainless steel appliances, granite counter tops, and Cherry Cabinets. Throughout the house is a brand new laminate wood floor, leading into your spacious Master Bedroom, large enough for a King Size Bed. The bathroom has beautiful tile work, and a luxurious feel. The main room is ready to entertain, with the TV stand already in place. The uniqueness of this unit is the enclosed porch, now with insulated windows to keep the temperature of the house. This extends the home another 140 sq feet heated, including a laundry room off the lanai. If the features in the units didn't have you sold, then the community will. You can enjoy an afternoon at the community pool over looking Lake Howell, events in the community clubhouse, or go to the community Boat Slip and ramp, take your boat out on the highly desirable 391 acre Lake Howell. As an owner occupied buyer you are saving half of what you would pay in rent. As a landlord, it offers a great Return on your Investment! Either way, this property won't last! Listing courtesy of KELLER WILLIAMS ADVANTAGE REALTY. Selling Office: PREMIUM PROPERTIES R.E SERVICE.